around Boot Key. To view a recent video of Racing at Coco Plum, click on Sunfish Racing. Association Memberships-The Marathon Sailing Club is a recent member (#330) of the American Model Yachting Asso. The AMYA "promotes designing, building, racing and preservation of all model sailing yachts". Click on AMYA Homepage and then "Regattas" to view the scheduled regattas in the US. 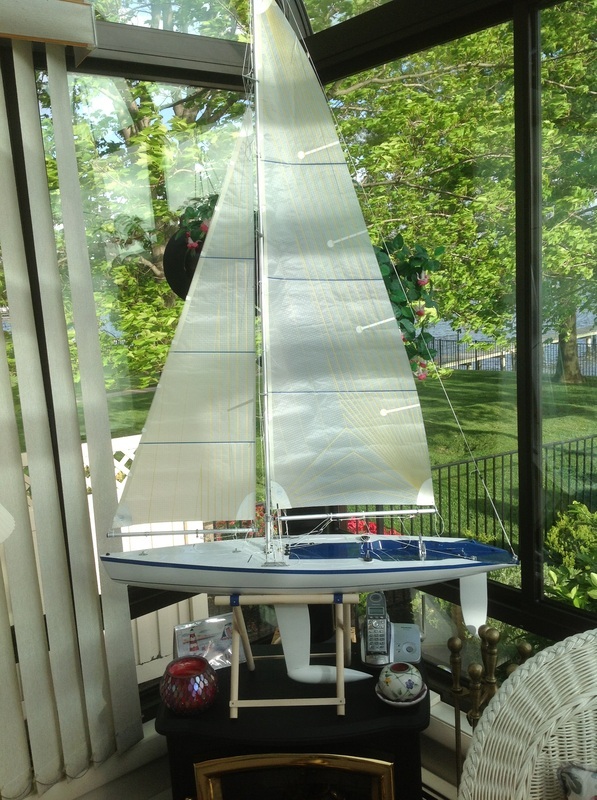 RC Racing-We sail and race the Victoria class and CR-914 one design sailboats. We have extra boats for you to use and join the fun. These high performing boats allow for competitive racing without getting wet. To view a video of one of the club's afternoons of Victoria racing, please click on Victorias. 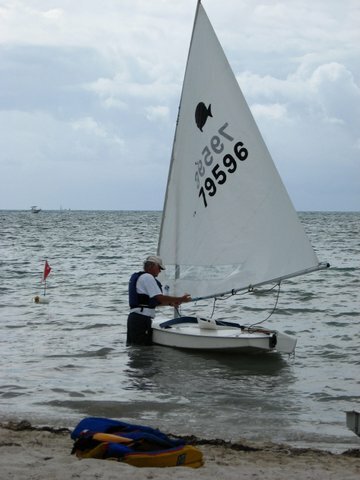 Each year we host an Interclub CR-914 Regatta on Grassy Key. To see a race video, please click on Valhalla Lagoon Regatta . Cruising-We also cruise with our members' boats that range in size from 28 to 40ft. 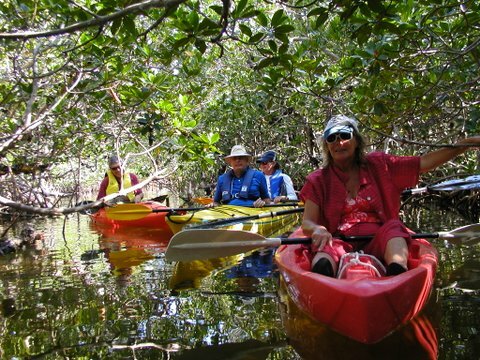 Last year in May, our overnight Full Moon Cruise included sailing to mangrove islands and then using kayaks to explore the area. This was followed by a pot luck dinner gathering which was very enjoyable. Another cruise is planned this year. Other Activities- From time to time we schedule other special events. 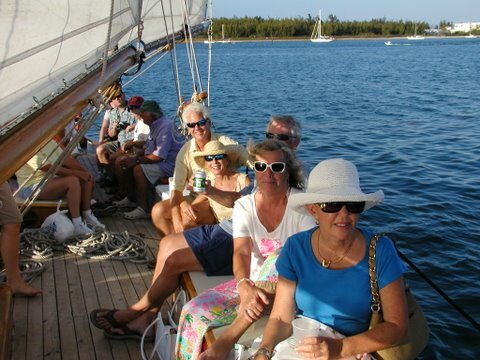 Recently we had a Key West movie theater outing to see a special sailing movie. We have volunteered our time at the annual buoy mooring line splicing party for the benefit of The Florida Keys Marine Sanctuary. For video, click on SPLICING. Presently we are also starting to plan for a bareboat charter of catamarans for our members in the Virgin Islands in the Spring of 2015. Watch our calendar as it is always changing. 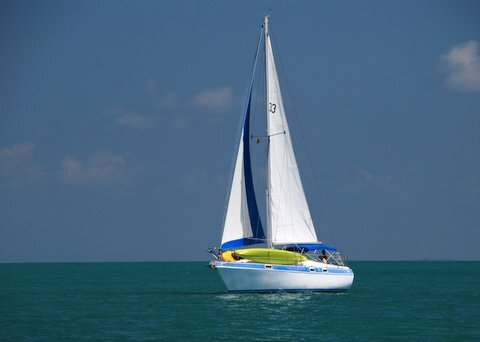 Join Us- If you are a sailor, and are in the Keys anytime from December to May, why not join us to enjoy the waters around Marathon with fellow sailors. The cost to join the Marathon Sailing Club is $50 for an individual or $75 for a family.